We recently learned that the state tree of Texas is the pecan tree. We also read a story in our reader about pecans called “A Nutty State”. 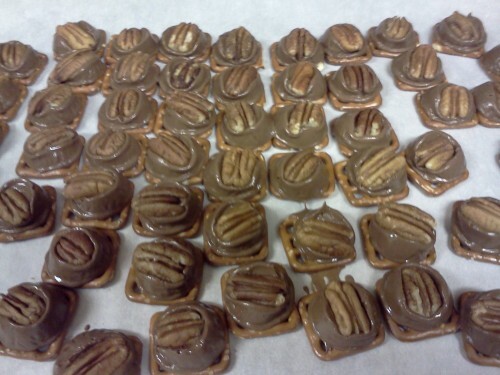 Seeing the pictures of the pecans reminded me of a recipe for a yummy treat called Rat Traps. Click HERE for the recipe.